For more than 50 years now, intellectuals like Herman Kahn have been predicting a future where very few of us will work. Yet unemployment is no worse than it’s ever been. Reasonably enough, most of us have stopped worrying about it. 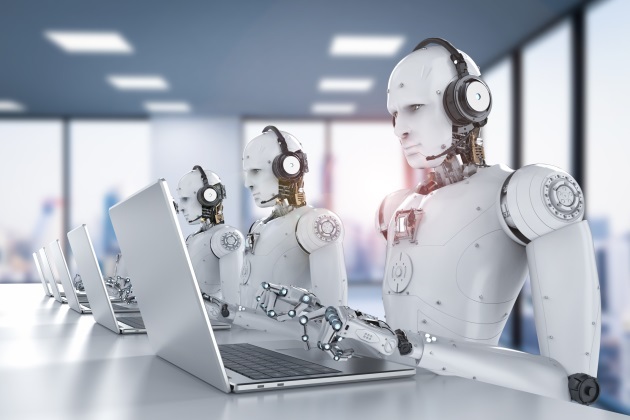 But recent developments in automation and artificial intelligence have sharply increased the chances that your job’s going away — and probably far sooner than you think. The impact of automation on employment is likely going to be less than we fear. In many instances, automation and artificial intelligence will add new categories of work — as some jobs go away, new jobs will become available. Technology-related job losses will be concentrated in a few areas; workers in those areas can be retrained to work at new jobs that technology will make available. Business leaders are aware of the need to provide jobs for those who will lose them and are determined to build a humane "Fourth Industrial Revolution" to provide workers with a safety net. As the need for workers diminishes, governments will step in to provide a guaranteed annual wage. All of the above assumptions range between questionable and plain wrong. Worse, according to an alarming article in The New York Times, business leaders — at least those influential leaders who attended the World Economic Forum at Davos in January of 2019 — not only believe technology-related job losses will be substantial in the near future — they’re looking forward to it! Infosys President Mohit Joshi was quoted in the NYT article as seeing a 99 percent reduction in the workforce as a reasonable and attainable goal. Obviously, that hasn’t happened yet, but employment reductions are already headed that way. Richard Liu, the chairman of Foxconn, the Taiwanese electronics giant that manufactures Apple’s iPhones, has invested more than $4 billion in its Artificial Intelligence Center in Guandong and is setting up another robotics research lab in Silicon Valley. He aims to operate his factories "with no human beings anymore, 100 percent operated by AI (artificial intelligence) and robots." He predicts an 80 percent reduction of Foxconn’s current workforce in five to 10 years. This vision of the future isn’t any longer the province of high-minded futurists who imagine a world of equitably distributed income that allows former workers a life of meaningful pursuits and leisure. Silicon Valley and other tech centers all over the US are working to replace workers with robots. Uber and Tesla are just two of many firms working to eliminate drivers. Caterpillar is working to develop autonomous backhoes and other heavy equipment that will operate without direct human involvement. Few of the many companies involved in this workerless tech revolution have evinced any responsibility for the welfare of displaced workers; instead, they’ve seen an obligation to stockholders to increase profits through automation without diverting funds to worker welfare initiatives. Among professionals and the upper-middle class, a belief persists that the technology revolution will affect semi-skilled and unskilled workers, without having a direct impact on their own jobs — which may be the reason that so many influencers, who largely come from the same classes, remain unalarmed. But this complacency is hardly deserved. AI programs, for example, are already doing a better job of medical diagnoses in specific instances than specialist MDs. But in reality, so far as business writing goes, most of what I’m doing is gathering information from a variety of sources — business journals, and educational institutes of one kind or another — and conglomerating it to create conclusions like the one in this article, that technology is coming for our jobs faster than we think. AI programs are already very good at that kind of information-gathering and, year after year, their writing skills are getting dramatically better (I probably shouldn’t let my editor see this!). Accomplishing this doesn’t require a skilled professional to create the compositional rules; AI can deduce them from existing music. The result may not be Debussy, but neither is what you’ll hear on Netflix. Unskilled, semi-skilled, skilled and professional alike — we’re all expendable. What Happens When Your Job Goes Away? The worst aspect of the AI and automation revolution isn’t that so many jobs are going away — what’s more alarming is that efforts to provide income for workers who are losing jobs to technology have been fitful, small-scale and widely criticized as being unaffordable, "socialistic" or encouraging sloth. Herman Kahn, with blessed ‘60s optimism, believed the biggest problem for former workers who’d lost their jobs to technology would be what to do with all that leisure time. Unfortunately, so far that’s not been the case. The biggest problem for unemployed workers has been — and until society seriously addresses the problem will continue to be — how to afford food, housing and the other basic necessities of life. Unless government, business and voters in democratic societies find realistic, doable and humane answers to that vital question as more and more of us lose our jobs to technology, we’re probably headed for increasing social unrest.